Seeking a dependable, experienced fuel service supplier to power your Pennsylvania home or business? The search is over! Talley Petroleum Enterprises is proud to serve our customers with top-quality delivery and wholesale fuel services. We are pleased to carry a full line of liquid petroleum products from both ends of the barrel. Customers can count on us for prompt delivery of energy-efficient heating oil, affordable biodiesel, high-value gasoline, and more. Experience the Talley Petroleum difference. Choosing our company comes down to so much more than competitive rates. Talley Petroleum fuel customers benefit from over five decades of industry experience and high standards of customer service that only a local, family-owned company can provide. Talley Petroleum is pleased to deliver #2 grade heating oil to homeowners, businesses, and municipalities alike. Heating oil is an efficient, affordable energy option that is cleaner and greener than ever before. Kerosene is the perfect energy option for homeowners and business owners that store their fuel outdoors. Unlike heating oil, K-1 dyed kerosene is able to remain fluid when outside temperatures reach record lows. Additional additives are available to help your kerosene supply stand up to winter weather. Power your most important industrial machinery with top-quality fuel. Talley Petroleum delivers 15ppm off-road diesel NRLM DYED + Lubricity that meets all state and federal emissions standards for construction appliances and agricultural use. 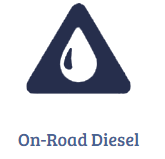 If you rely on affordable, quality on-road diesel, Talley Petroleum has got you covered! We are pleased to provide high-value B2 and B5 15 ppm ultra-low sulfur fuel that meets all state and federal emissions standards. Looking for affordable gasoline to keep company vehicles on the move? Talley Petroleum supplies regular-, mid-, and premium-grade gasoline with octane levels ranging from 87 to 93. Do your fueling requirements call for premium additives? 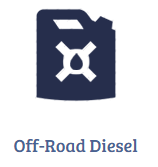 Purchase your fuel and supplementary additives from one convenient, professional provider. Talley Petroleum is pleased to offer HPFI, DEF, and more. Contact us for specific inquiries on available additives. If you are seeking reliable delivery and sales of superior fuel products, now’s the time to become a Talley Petroleum customer! Contact us to learn more about our residential, commercial, wholesale, or municipality fueling capabilities.